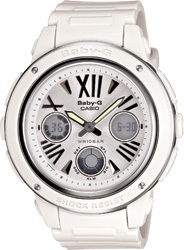 These watches are designed with large, easy-to-read faces set into attractive, no-nonsense styles. 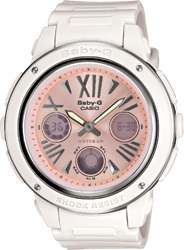 The bezels of this design feature metal parts and accents that emphasize a look of Baby-G toughness. 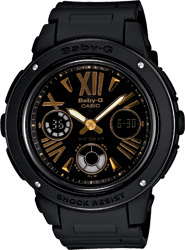 Roman numeral hour markers round out an overall adult-oriented design.